Good news travel lovers—getting on the road is becoming easier than ever thanks to the development of smaller, lighter, and more affordable campers. 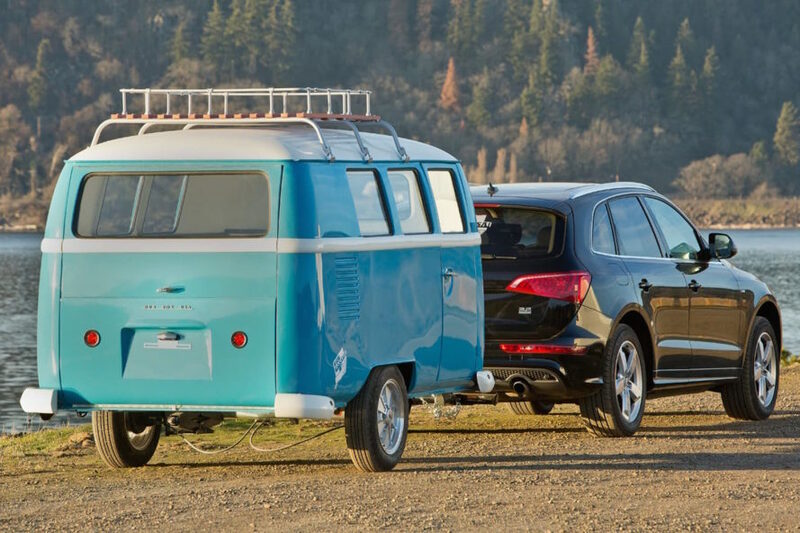 Oregon’s Dub Box is one of the latest travel trailer brands to hop on this trend with their introduction of Dinky Dub, a modular and compact trailer that boasts the stylish look of the iconic Volkswagen Bus with a modular twist. The Dinky Dub is approximately 25% smaller than its big brother the Dub Box, but still offers all the same options as the full-size model at a fraction of the price. Weighing in at just 1,000 pounds, the Dinky Dub does come with some sacrifices when compared with its full-sized sibling. The smaller VW Type 2 tow-along loses a pair of windows, 3 feet in length, and the pop-top roof, which means the interior height is maxed out at 4.3 feet. In return for these tradeoffs, the Dinky Dub starts at just $12,800—a fraction of the cost of the larger models. The Dinky Dub is centered on a convertible dinette set flanked by benches that transform into a two-person bed. A modular kitchenette is tucked into the rear hatch and can be customized to include a sink and portable stove. Since the Dinky Dub was created with a modular design, buyers are free to customize their trailer from the inclusion of solar panels to additional appliances. 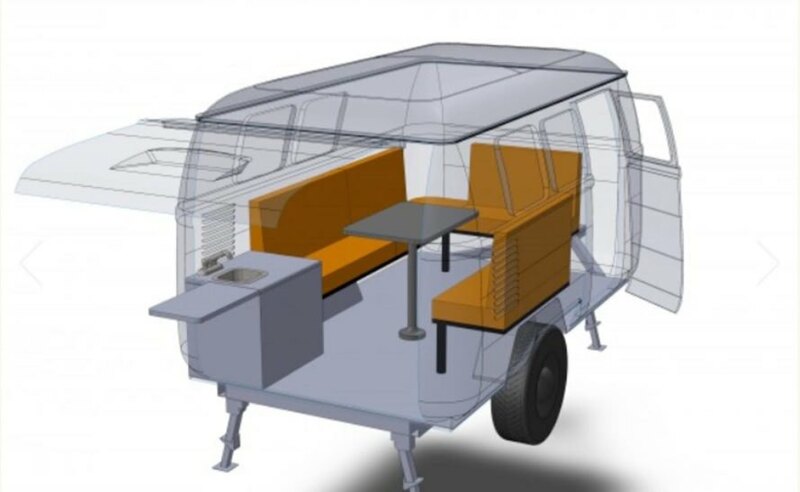 Dub Box is finalizing design details and plans to launch the Dinky Dub, which is available for reservations, in 2017. Weighing in at just 1,000 pounds, the Dinky Dub does come with some sacrifices when compared with its full-sized sibling. The smaller VW Type 2 tow-along loses a pair of windows, 3 feet in length, and the pop-top roof, which means the interior height is maxed out at 4.3 feet. In return for these tradeoffs, the Dinky Dub starts at just $12,800—a fraction of the cost of the larger models. The Dinky Dub is centered on a convertible dinette set flanked by benches that transform into a two-person bed. Since the Dinky Dub was created with a modular design, buyers are free to customize their trailer from the inclusion of solar panels to additional appliances.